The Darjeeling turmoil and strained relation between West Bengal and Sikkim had also resulted in heavy losses to tourism and transport sector in the last financial year. 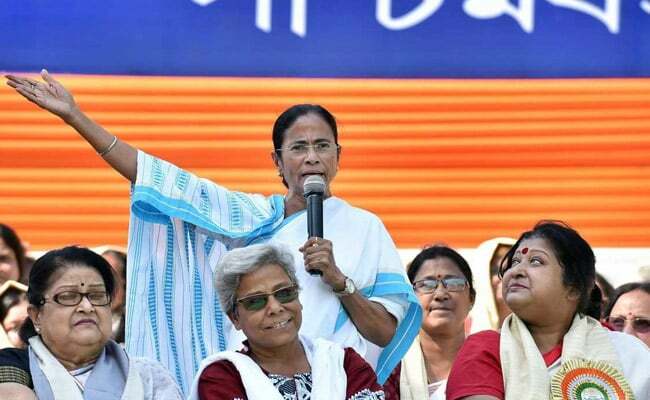 Guwahati: West Bengal Chief Minister Mamata Banerjee will meet her Sikkim counterpart Pawan Kumar Chamling in Siliguri today, in a crucial meeting to try and chart a new course after months of strained ties between the neighbouring states. The meeting comes against the backdrop of a war of words between the political leaderships of the two states over the Gorkhaland agitation. The talks are significant also because of the issues likely to be taken up, such as recent problems in the movement of commercial vehicles stemming from tighter checks, trade and tourism - sectors where the two states' fortunes are interlinked. Mamata Banerjee had earlier warned Mr Chamling to not indulge in affairs of Darjeeling and alleged his government of sheltering Gorkha leader Bimal Goring. Sources say one of the prime reasons she wants improved relations with Sikkim is due to its sizable Gorkha population. Taking them into confidence can help her manage the Darjeeling hills better, official sources add. The relationship soured after the agitation for statehood started in the Darjeeling hills last June and Mr Chamling wrote to Union Home Minister Rajnath Singh backing the Gorkhaland demand. Matters went further downhill when Bengal police conducted raids in Sikkim following tip-offs that Gorkha Janmukti Morcha leader Bimal Gurung had taken shelter there with some associates while in hiding. Mr Gurung faces cases of inciting violence during the statehood protests. Some Morcha workers were arrested in the raid. But Sikkim police alleged their Bengal counterparts did not inform them about the searches and lodged counter cases against Bengal police.